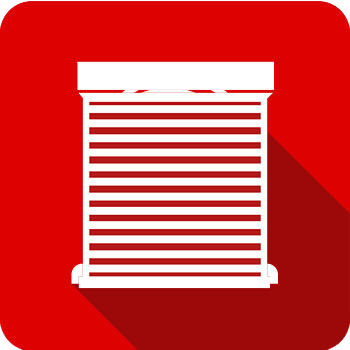 Click here to see this product and get your FREE DEMO! The ERA LockDown is a free standing security barricade device that can be deployed in an emergency situation in seconds, keeping occupants safe inside and the threat out. It works completely independently, so a room without locks can still be secured. LockDown is also ideal as a secondary solution to lock down a door at speed, buying time. Locating keys and locking a door isn't necessarily an easy task in an emergency situation. It is not just schools in Bury and the North West of England we can supply these to. 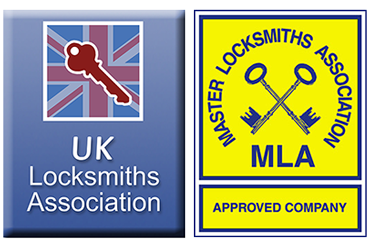 Authorized Access are an MLA (Master Locksmiths Association) and UKLA (UK Locksmiths Association) approved company and have been established for over 30 years. Everybody wants the best security, but as much as your business or your home is unique, so are your security needs. At Authorized Access, we can carry out our SRA (Security Risk Assessment) in order to evaluate the best products appropriate for your needs. 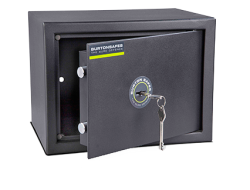 The solutions we can create consist of anything from a simple Cylinder upgrade to a Steel door, or from a Safe to a Safe Room. Authorized Access are a Bury, Manchester based company. Although we are based in Bury we are a North West Master Locksmith. Authorized Access a North West Master Locksmith only supply and install British Standard, PAS24 and TS007 Products, we believe there should be no compromise when it comes to YOUR Security. With our Manchester Locksmiths Trade Counter and Show Room you can visit us and discover how to upgrade your security, keeping your costs down and within your own budget. From a Padlock to a Safe we can direct you to the right product for whatever you need to secure, whether it be your home or a bicycle, to a car or even a barge home! Authorized Access a North West Master Locksmith can also provide lock repairs from UPVC, Wooden and composite doors whether it’s a mechanism replacement or a mortise lock change we provide this service to domestic and commercial properties across Bury and North West. From just a brief description over the phone we can determine what is needed and provide you with an estimation of the work required. So whether you are based in Bury or anywhere else in the Northwest you will get a price. In some cases we can even hear what the fault is over the phone. We are aware that security can be a highly sensitive and personal issue, however security is a selfish thing, we cannot stop crime but by improving YOUR security, the criminal moves ‘down the street’ to the next weakest link! Don’t wait until it’s too late! To discuss what kind of service we can offer that could help you or your organisation, contact Authorized Access and our fully trained staff will guide you through the selection process and book in a visit to provide a free, no obligation survey and quotation. You can also visit our shop in Bury to discuss your needs with our Locksmith.